As you know, First Coast Service Options, Inc., (First Coast) is the Medicare Administrative Contractor for jurisdiction N, serving Medicare providers and beneficiaries in Florida, Puerto Rico, and the U.S. Virgin Islands. The Provider Outreach and Education department has been working to promote Electronic Remittance Advice (ERA) to those providers still receiving paper remittances through regular mail. We have been performing focused education by reaching out to those providers that we show still receiving paper remittances and offering education and assistance. With this email, we are continuing our efforts on educating providers about ERA. You received similar info in August, September and October. This flyer addresses concerns that we have heard from providers about switching from paper to electronic remittances, as well as additional information about the free software provided by CMS that can be used to import, translate, view and print the 835 files for ERA. Please don’t hesitate to let me know if you have questions or need additional information. Medicare Information Re Electronic Claims from First Coast Service Options, Inc.
As you know, First Coast Service Options, Inc., (First Coast) is the Medicare Administrative Contractor for jurisdiction 9, serving Medicare providers and beneficiaries in Florida, Puerto Rico, and the U.S. Virgin Islands. 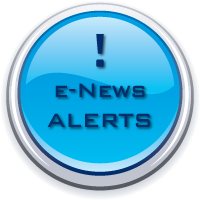 The Provider Outreach and Education department is working to promote Electronic Remittance Advice (ERA) to those providers still receiving paper remittances through regular mail. We have been performing focused education by reaching out to those providers that we show still receiving paper remittances and offering education and assistance. At this time, we are expanding our focus by doing widespread education for any providers that are interested in the electronic formats. I’m writing to you requesting your assistance in dispersing the attached flyer/information to your peers, colleagues or members. There are numerous benefits to the use of ERA and it is First Coast’s endeavor to assist providers in this transition so that they may reap the entire benefits of moving forward with technology. Any assistance you can provide in sharing the attached information would be greatly appreciated. · How and when did you distribute the article? · To what total number of members or colleagues was the information distributed (estimates are fine)? Please don’t hesitate to let me know if you have questions or need additional information. Thanks for your partnership in reaching our Medicare provider community! Medicare has changed the physician documentation requirements for certification of home health care for dates of service effective January 1, 2015. Our free standing, academic affiliated Rehab Hosp admits patients s/p Heart Transplants LVADs, CABG, etc. The Cardiology Dept has now approached us re: heart failure pt's on continuous intravenous inotropic support in need to continue long term outpatient IV therapy. I would like to know of any anecdotal experience with this patient population, if any. Not much found on my preliminary literature search specific to rehab. There is certainly data at outpatient level. AAPMR, Phyz-Forum post replies were: 2=no and 1=yes at SNF level. Our medical consultants are skeptic. I'm concerned with our lack of telemetry and other ancillary svc that may be needed for optimal care and likelihood for this pts to be re-admitted to acute care given their poor long term prognosis. I'm also concerned with their ability to tolerate Inpt Rehab. Cardiology's major incentive for RF is to reduce their LOS at acute care along w rehab needs. Cardiology offered to f/u patients while at rehab as needed but the reality is that we are 12 miles away from the main hospital. Any words of advise? 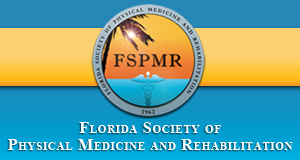 Do you know of any Inpatient Rehab in FL taking this patients?